Soft tip darts is evolving very quickly with the energy that is being created by the electronic dart machine operators. 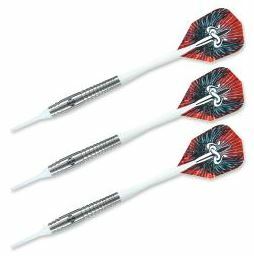 This new energy helped create Assassin Expert; a new range of darts for the young and professional player who aspires to be an “Expert” in their chosen game. Each barrel increases in length by 1 mm: this shifts the center of balance and reacts to the differing velocity and angle of a players throw.